Exotics Racing, the leading supercar attraction in Las Vegas and Los Angeles is proud to announce that five dollars from every full price Driving and/or Ride Along Experience booked through exoticsracing.com, and used during the month of October 2016, will be donated to the Susan G. Komen Foundation. 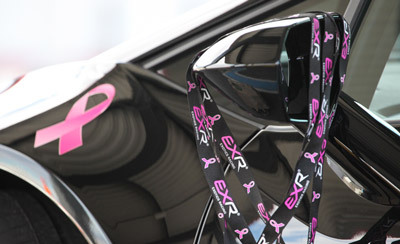 Also, for that occasion each supercar will be wrapped with a symbolic Breast Cancer ribbons. 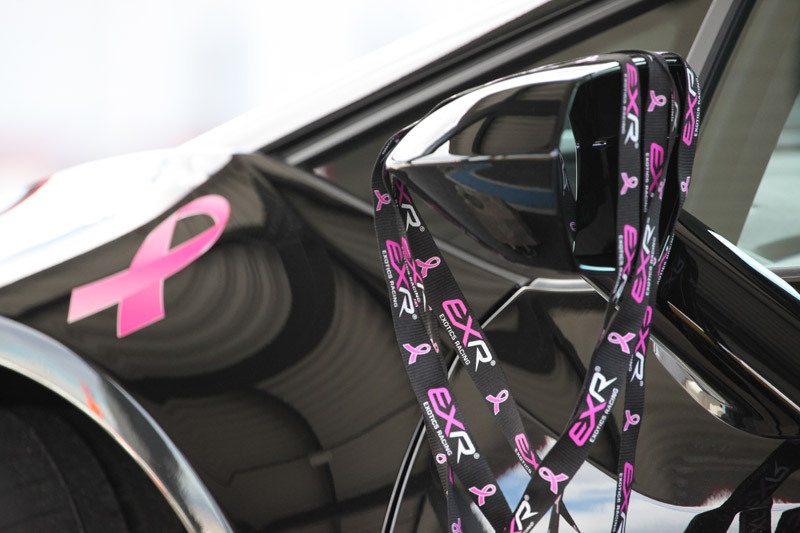 “As a racecar driver, I’m obsessed with getting to the finish line first, but raising breast cancer awareness to beat this terrible disease is a race that we all need to win.” says Exotics Racing Co-Founder David Perisset. Driving Experiences put participants of any skill level behind the wheel of some of the world’s fastest and most desirable cars to drive around Exotics Racing’s state-of-the-art racetracks. Available cars include the 660 horsepower Ferrari 488 GTB, the 700 horsepower Lamborghini Aventador and so many others from Aston Martin, Porsche, McLaren and more. Driving Experiences start at $199. The Susan G. Komen Foundation works to raise awareness and improve access to routine mammograms as well as other treatments to reduce the number of late-stage diagnosis. Their efforts, which include local and national cultural outreach, have helped to lessen the burden of breast cancer treatment for afflicted women and their families. “We are so pleased to be working with the Susan G. Komen Foundation of Nevada and California,” says Exotics Racing Co-Founder Romain Thievin. In addition to the five dollar per Ride Along and Driving Experience donation, Exotics Racing will carry sponsored merchandise including lanyards. All benefits from the lanyards sales will go toward the Susan G. Komen Foundation. Donation boxes will also be present at both venues. Last year, Exotics Racing donated over $50,000 to charity.